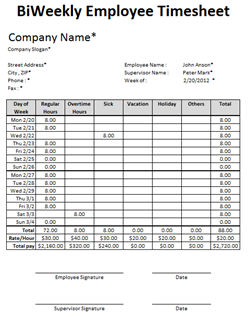 This is a collection of employee timesheet templates designed to ease tracking of employee’s working hours for small business owners. 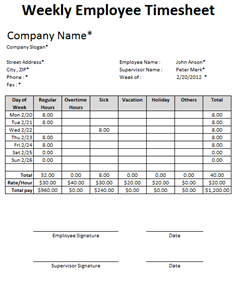 The templates calculate total hours worked and total pay per period automatically. Both weekly and bi-weekly timesheet templates in A4 and Letter sized formats are provided.